This isn't the first time a publisher has produced a series of novels with a view to the information or insight they might provide in support of historical or social studies. I imagine there is always an editorial decision to be made on the balance between storytelling and character development and the clear and accurate portrayal of real events, settings or attitudes. Compared to the comic historical escapades sometimes published for younger children, these four examples of Wayland's new 'Survivors' series seek to be both serious and literary. Yet they show a move away from the exercise of the literary imagination compared to something like A & C Black's 'Flashback' series of a few years ago. Produced by a publisher whose catalogue is predominantly information books, and intended for Key Stage 3 students in the English National Curriculum, there is a uniformity of approach in the titles not only in length and presentation but even of language and style. Apart from its main story, each book has an introduction, map, historical notes, a list of follow-up reading and a glossary. 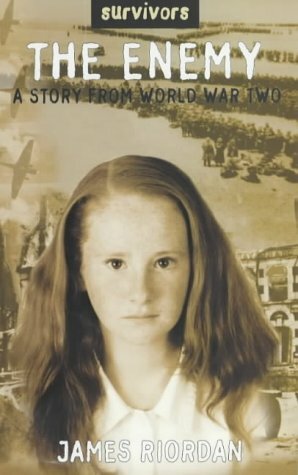 The covers show a photograph of a child model in appropriate period dress against a background collage of slightly out-of-focus contemporary photographs. Here the mixture of fiction and documentary and the appeal to the child reader are all evident. The authors appear to be working within a remit to keep the stories straightforward and accessible to the widest range of reading ability. This is good for narrative clarity but perhaps makes it more difficult to offer particular insight or generate excitement in the texts. As the series title suggests, all of the novels deal with young people faced with harrowing experiences. 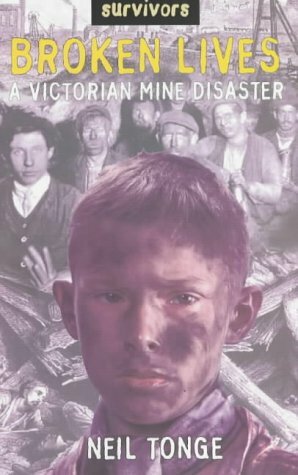 The four books treat the two world wars, the conditions of Victorian coal mining and the destruction of families through apartheid. Yet there is rarely a feeling of the books getting to grips with the trauma implied in their subject matter. And, to be fair, the writers would be hard pushed to achieve that in the 80-odd pages they have here. 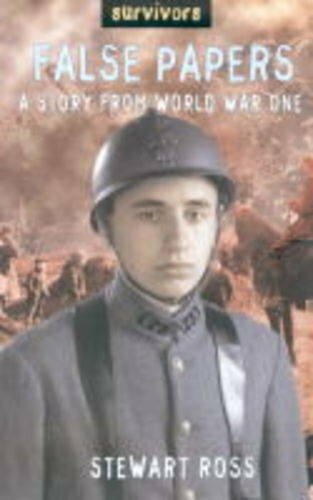 With the exception of, perhaps, False Papers, which deals with trench warfare, the novels describe situations in which children would have played a full part. However, it is an open question whether a story truthfully told through a child's eyes is likely to give any more than a partial and uninformed view beyond the circumstantial detail. This makes it difficult for the writers to be true both to the intention to give an accurate historical record and to respect the child's viewpoint. The Enemy and Long Walk to Lavender Street work best because they are told by an adult looking back, and so, within the story itself, have the benefit of a wider perspective. Presumably, the novels address a classroom need for children to empathise with people in the past or who are caught up in present-day conflicts. But I wonder what the advantage is, for example, of using False Papers over other sources about the First World War, some of them contemporary, like the war poets, or others, like Michael Foreman's War Game, which convey the horror visually yet within a child's understanding. The further reading lists seem to suggest that these novels may be used as an introduction to conventional information books or to more demanding fiction. The Enemy refers to another of James Riordan's novels, The Prisoner. 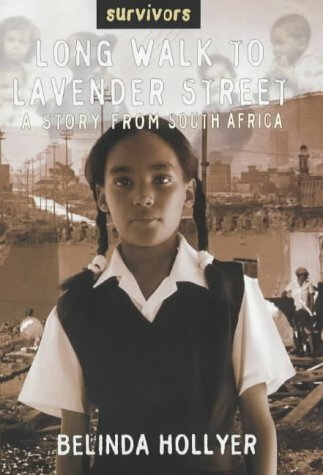 Long Walk to Lavender Street recommends Beverley Naidoo's novels. However, in terms of the reading experience they provide in themselves, I feel that only The Enemy and Long Walk to Lavender Street have the shape and conviction of real novels, and it was only Hollyer's that moved me.